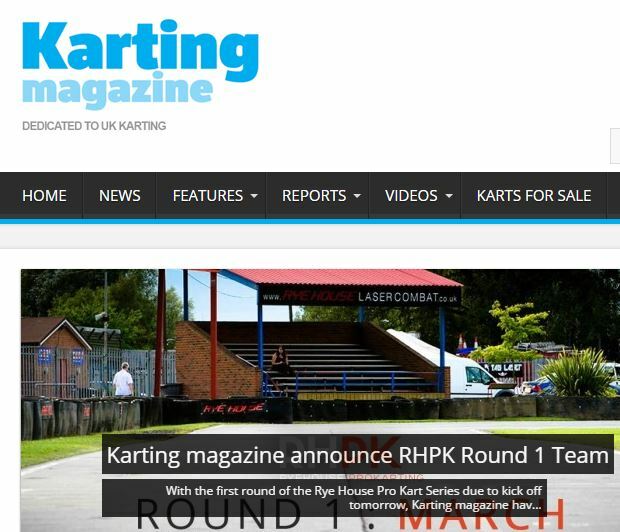 With the first round of the Rye House Pro Kart Series due to kick off tomorrow, Karting magazine have unveiled their full line up for Round 1. Leading the team, as he will for the season, will be Lee Henderson. Lee is very experienced in the arrive and drive scene and is our ‘Arrive and drive’ reporter doing monthly columns for the magazine. Off the back of his victory in the BIZ Champions Challenge. Piers Prior will fill the second space and will in fact start the race for the Karting magazine team on Saturday. Piers has two years experience in the RHPK series and last year won the HSF Trophy beating GP3 driver Jake Dennis to the title. Filling the third and final space will be Luke Cousins. Luke is a veteran arrive and drive racer taking multiple victories in the Club100 and DMAX series and was Vice Champion in the Club100 Lightweight class back in 2013.